NOTE: The creator of this page and service, Dana L. Marshall, died on OCT.28 2012. All info and data on this site has not been updated from that point. Tho Amazon.com links are still good. Items that Dana sold like the ID cards are nolonger avilable. I will try to delete those links along with the no longer good phone numbers when I find them. I just now got access to this page to post this update. 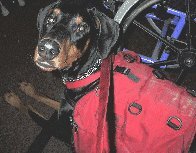 Welcome to my Service Dogs page, with educational information on Service (Assistance) Dogs, General Dog Links, and links to Doberman Pinscher sites. ATTENTION: Due to a problem with Yahoogroups, all members of the OT-Adogs (Owner-Trained Assistance Dogs) list have been deleted from the list. I don't know why Yahoogroups did this, but I'm doing my best to fix it. I am going to be manually adding members back into the list, but if you were on the list, and aren't now, please go to this page and rejoin the list. 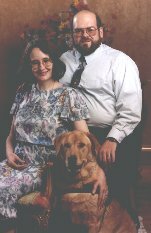 I've been partnered with a Service (Assistance) Dog for the past 12 years, and am working on training my 3rd dog. Being partnered with a dog that helps me in everyday life is a wonderous thing, but there is a downside that many people don't know about these dogs, and what they can do for disabled people. It is my hope that I can educate disabled persons about these wonderful dogs, as well as how to obtain one, the laws that govern Service Dogs, and also educate the general public to the fact that these dogs do exist, and that they are truly special, and how to react when someone encounters one of these special dogs. The first thing you need to know is that certification/tags/ID cards/certificates ARE NOT required. Click on the link above (it's in blue) to be taken to a page that explains more why certification is not required. I bet you're asking WHAT a dog can do for a person who is disabled. A service dog can do many tasks, depending on the person's disability. A dog guide is the eyes for its blind handler, taking the handler around obsticles. A hearing dog alerts the handler to sounds, a Seizure Alert/Response dog responds when the handler has a seizure, and a Mobility Assist Dog (also called a Service Dog), is the arms and legs for a disabled person. A psychiatric service dog keeps a person with an psychiatric disorder calm and able to be going to out in public. 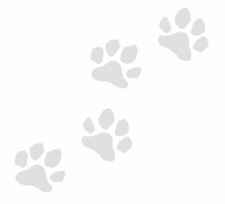 For more specific examples, please see the Assistance Dog part of this page. For those looking to train their own dog and are physically disabled, I sell the Teamwork books (Teamwork 1 and 2) in partnership with Amazon.com to anyone that visits this site. Go here to my books page for more information. If you have a problem relating to Service Dog access, or have questions about service dogs, you are more than welcome to contact me. Normally, I take calls from 10am Pacific Time to 5pm Pacific Time, Monday through Friday. That's WEST COAST time, if you're calling from the East Coast (Florida, New York, etc), it's 3 hours differece. When it's where you are, it's 7am here. My phone number is (360) 897-9015. I have voice mail, so if I do not answer the phone, please leave a message and I will call you back as soon as possible. These times are NOT flexible. I also do not answer the phone on Saturday, Sunday, or holidays. This is a home based business, and many people have been calling at 6am, or calling after 10pm, or calling all weekend. Please respect that I do this for FREE, or I may change phone numbers and not offer this valuable service. Gillis is my 2nd Assistance Dog. He was given to me at 7 weeks of age, and we've been training ever since then. Gillis has been a great Assistance Dog! Here's a pic of Gillis in working clothes, laying next to my wheelchair. :) (He's 13 months old in this picture.) And yes, Gillis is a Doberman Pinscher. Gillis had to be retired at the age of 6 years due to arthritis of the back. My 3rd dog, Chewbacca, who I call Chewie was given to me two years ago, and is a Bouvier/German Shepherd mix. I don't have a picture of him yet, but I will soon. For updates to Chewbacca's training, a list of commands we are working on, and the equipment he uses, please click here. Many people have seen Guide dogs in their daily lives, guiding their handlers expertly around obstacles and across streets. There are, however, dogs that help someone who is deaf, in a wheelchair, using crutches, and for many other disabilities. Probably the most familiar type of service dog is the guide dog that is trained to help blind or visually impaired people. These dogs serve as the eyes for their owner, navigating them through traffic, stairs and sidewalks while avoiding all obstacles that could cause injury. Similar to guide dogs, "hearing" or "signal" dogs are specially trained to assist deaf people. They alert their owner to sounds, usually by approaching their owner and then by going back to the source of the sound. They signal such noises as doorbells, phones, smoke alarms, crying babies, microwave bells and even tea kettles whistling. These dogs have the same access privileges as guide dogs and are permitted in all public and private facilities. Mobility Assist Dog: Pulls a person's wheelchair, carries things in a backpack, picks up things a person drops, opens/closes doors, helps the handler get dressed or undressed. Walker Dog: Helps the handler walk by balancing or acting as a counter balance. Does many of the tasks that the Mobility Assist Dog does. Seizure Alert/Response Dog: This dog is trained to respond to a person's seizures and either stay with the person, or go get help. Some dogs are trained to hit a button on a console to automatically dial 911. When the dog hears the voice over the speaker, the dog starts barking. The disabled person would have arranged that the system is dog activated. Psychiatric Service Dog: A person with a mental disability may need a dog to be able to go out in public (agraphobic), or may be autistic and need the dog to keep them focused. These dogs are trained NEVER to leave their handler's side. For more information on tasks that a dog can do, go to the IAADP PSD Info page. SsigDog: A dog trained to assist a person with autism. The dog alerts the partner to distracting repetitive movements common among those with autism, allowing the person to stop the movement (e.g., hand flapping). A person with autism may have problems with sensory input and need the same support services from a dog that a dog might give to a person who is blind or deaf. Combo Dog: Some programs, Paws With A Cause, for example, have started training dogs for people with multiple disabilities, like a guide/mobility assist dog. Also, "service animal" is the legal terms for ANY animal that assists someone who is disabled, therefore, a guide dog is also a service dog/animal. Like guide and hearing dogs, service dogs of any type, are allowed in public when accompanying their disabled handler. This list is not the ONLY things that dogs can be taught to do. There are laws that cover the right of a disabled person to be accompanied by an Assistance (or Service) dog. Please check out the Law page for information on the American's With Disabilities Act, and the State laws that cover this topic. With the exception of Washington State (which the full law is on this site), the other states are listed on one page with links to the state websites. The role of the Assistance Dog is to assist the handler in a variety of ways. It is primarily a medical assistance aid and should be treated as such. 1. Do not pet, make noises, or call to the Assistance Dog. If the dog is wearing its harness/vest/backpacks, this means it is working and should never be patted, or distracted by having its name called, be given excessive eye contact, noises made at it, or made the center of attention. These may all cause the dog to take its concentration off the job and put the handler�s safety at risk. 2. Do not feed the dog. The Assistance Dog is fed a balanced diet by its handler. Other people should never feed the Assistance Dog. It may then learn to be on the lookout for tidbits, which will distract the dog and place the handler�s safety at risk. It may also lead to obesity and health problems, possibly causing the dog�s working life to be shortened. When wanting to pat the Assistance Dog that is not working, always ask the handler first for permission. If the handler agrees, always talk or pat the dog in a quiet and calm manner. 3. Talk to the handler, and not to the dog! Remember to talk to the Assistance Dog handler and not only to the dog. It is very frustrating for the Assistance Dog handler when people constantly talk to the dog and not to the handler. The Assistance Dog handler has been trained in the most appropriate techniques for working or correcting the dog. Please only provide assistance if requested by the Assistance Dog handler. If there are any further queries regarding how to behave towards a Assistance dog please do not hesitate to discuss it with the Assistance dog handler. When an Assistance Dog team enters a business, a business owner may ask the following questions if unsure the team is an Assistance Dog team. You MAY NOT ask what a person's particular disability is. Many disabilities are invisible, and the person doesn't look disabled, or use any device (other than the dog), to indicate the person is disabled. 2) Is that an Assistance Dog? or Is that a Service Dog? These questions are the ONLY questions you may ask a person entering a business with an Assistance Dog. Note, both answers MUST be yes, because a dog is NOT considered an Assistance Dog if they are with a non-disabled person. Please be aware, however, that a disabled person is allowed to have someone bring their dog to them as a reasonable accomodation. For example, if the disabled person is in the hospital, and has a friend bring their dog to visit them, or bring the dog to them to stay in the hospital once they are able to care for the animal, OR the disabled person has enlisted the help of friends to care for the dog so that the dog may stay in the hospital with them. The Department of Justice has released a document detailing common questions asked by businesses. There's a copy HERE. How to get an Assistance Dog? There are many programs out there that train dogs - either bred specifically by the program, or donated by breeders, or taken from animal shelters. The programs all require that an application be filled out, placing the person on a waiting list (which can be anywhere from 6 months for a guide dog to 6 years for a Service Dog), and then once you are notified that you have been selected, you go to the program facility, and spend anywhere from 2 weeks to a month training with your dog. The cost of a program provided dog can range from $100 to several thousand dollars depending on the program. There is an alternative to waiting years to get an Assistance Dog, and that is to train your own. Please click here to see the advantages and disadvantages of training your own dog, as well as some places that will help you. There is an organization for those partnered with Assistance Dogs. They produce a quarterly newsletter, with informative articles, hints, and help regarding the laws that govern our rights to be partnered with an A-Dog. Please check out the International Association of Assistance Dog Partners (IAADP) web site. Assistance Dogs International is an an umbrella organization for programs that provide Guide, Hearing and Service Dogs. They have strict qualifications for membership programs to follow, and they have a public access test that is VERY good, and I highly recommend that if you have an Assistance Dog, that you and your dog be able to pass this test. You do not have to go to an ADI member organization to get this test. Take it informally, and if you and your dog don't pass, you know what you need to work on. Please consider donating. I do not charge for service dog information, but have expenses of a phone line and long distance service so that I may call people back.